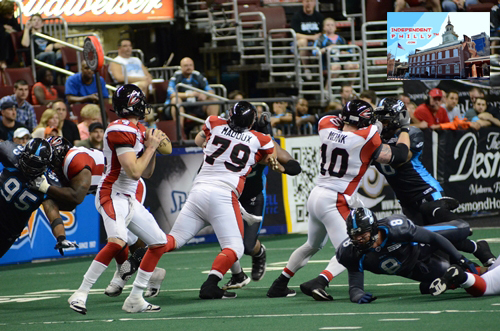 The Philadelphia Soul have pretty much done it all, from celebrity owners to championship seasons, but on Friday night at the Wells-Fargo Center, the team did something it had never done before; they allowed just 21 points to be scored. The Soul’s previous record for points allowed was 24 which came way back in 2006 against Kansas City. What recipe did Philadelphia use to serve the (East Division leading) Cleveland Gladitors some humble pie? It started with the crust. The Soul allowed just 7 points in the first half, a tasty franchise record. 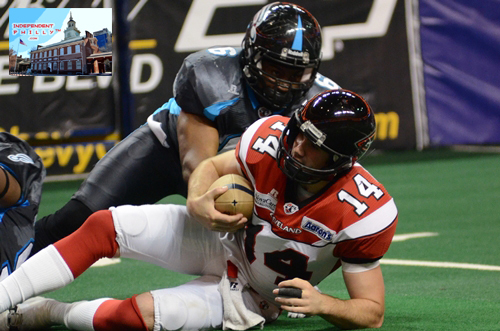 The filling consisted of seven sacks (a franchise record dating back to 2005; including three, another team record, by Brandon Perkins) to which the Soul’s defense added two interceptions, and one safety. They topped it with several sweet offensive strikes, and let it bake for one hour. 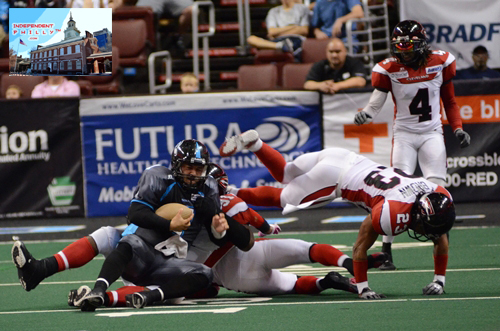 Soul QB Ryan Vena was also cooking on Friday evening. He threw for just shy of 250 yards and three TD’s. He also led the team in rushing, running for 30 yards and two more TD’s. 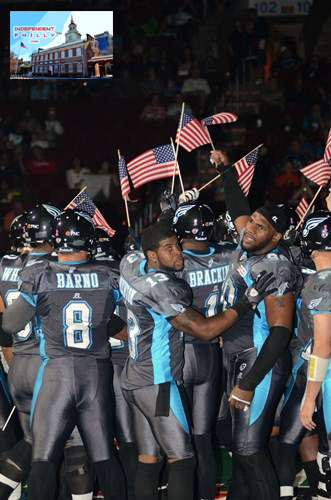 The first two passing strikes went to WR Larry Brackins (who finished with 133 yards and 3 TD) and put the Soul up 14-0. Gladiator’s QB Kurt Rocco got his first TD with 3:35 left in the first quarter when he hit WR Troy Bergeron to cut the lead to 14-7. 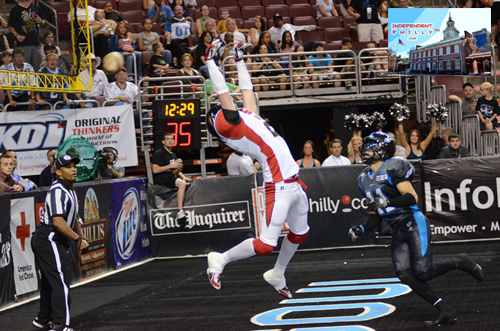 Philadelphia rebounded with two field-goals and a rushing TD and headed into half time with a 27-7 lead. The second half scoring began just like the first, with a TD strike from Vena to Brackins. After the Soul defense added 2 points with a safety, and Vena and Rocco each added a rushing TD for their team, the score sat at 42-14 heading into the 4th quarter. 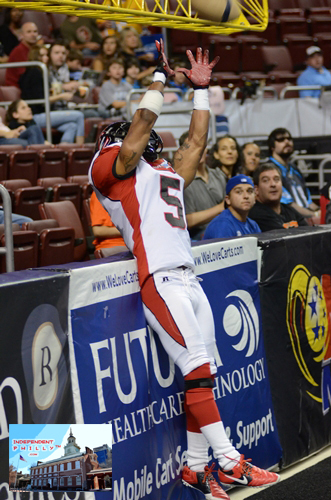 Vena’s second rushing TD was the first score in the 4th and put Philadelphia up 49-14. 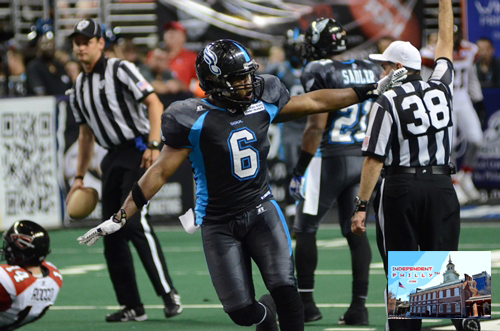 With just under three minutes to play, Rocco again connected with Bergeron for the game’s final points and the Soul walked away with a 49-21 victory to improve to 6-11. The Gladiators still sit in first place with a 9-7 record. The Soul play their final home game of the year on July 22nd when they host Pittsburgh (who sits in 2nd place in the East at 8-7). 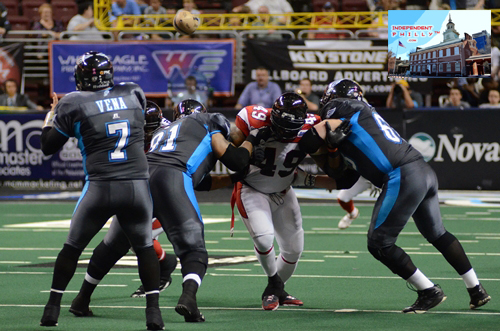 The Soul will not be able to defend their AFL title in the playoffs, even with a victory over Pittsburgh, but can still end the season on a high note with back to back victories over the divisions two top teams. 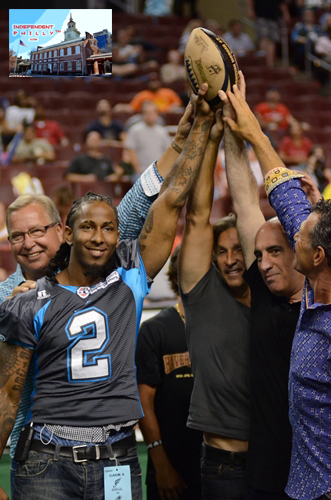 Injured WR Donovan Morgan was honored by team president Ron Jaworski (and others) during the Cleveland game for his 100th career touchdown.